UPDATE: MORE helpers will continue to head to Fraser Island in the coming days to clean the oil spill that washed up on its east shore on Tuesday. Currently, there are 35 people on the famous landmark working away with rakes and shovels. The number is expected to reach 60 with more help rolling in. Though the recent oil spill isn't large in terms of quantity of oil dumped, the small blobs of oil are spread over a significant amount of geographical area of about 50km. Fraser Coast Regional Council is one of the latest organisation that will be sending crews over to assist. Councillor Rolf Light, who holds the disaster management portfolio, said the cleaning process could continue into next week judging from a meeting he had with the other agencies involved. "We've had approved for council to send up to 20 people, and associated vehicles, to help," he said. "Everyone helping out should be very proud." Though oil spills are often associated with causing severe trauma and damage , this is something the Fraser Island event has avoided. "The good news is that there has been no impact on wildlife," Cr Light said. Maritime Safety Queensland general manager Patrick Quirk said the oil was kept to the shores. "There's no oil stains in the water, just on the beach," he said. "It is a fairly minor oil spill when comparing to other oil spills." Fraser Coast's tourism activities is staying open during the whole process. "There is no disruption to business, we don't have a problem with people going there," Mr Quirk said. A list of ships that have gone through the area in the past week is being compiled to find the source of the spill, but Mr Quirk said it will most likely be difficult to pinpoint one ship in specific. EARLIER: A CLEAN-up operation is continuing this morning, to clean up blotches of oil that washed up over 50km of Fraser Island's east coast yesterday. So far, there have been no reports of affected wildlife. Minister for Main Roads and Ports Mark Bailey said about 24 officers from Maritime Safety Queensland, Roadtek, Queensland Parks and Wildlife Service and Queensland Police Service have begun scouring the beach. "A barge delivered about a dozen specialist oil shoreline clean-up workers with equipment yesterday afternoon in preparation for work to begin this morning," Minister Bailey said. "They joined about the same number of assessment crews who'd been on the beach from early yesterday. "More crews are on standby, including Fraser Coast Council who has also alerted workers to be ready to help." The source of the spill is still unknown, but a list of ships that have gone through the area in the past week is currently being compiled. Environment Minister Steven Miles said the clean-up process was being doing manually through the use of rakes and shovels. "This minimises the impact on the environment and reduces the amount of additional sand collected," he said. "This can be a time-consuming and physically demanding process and we have ensured we have sufficient personnel to work on rotation to get the job done. 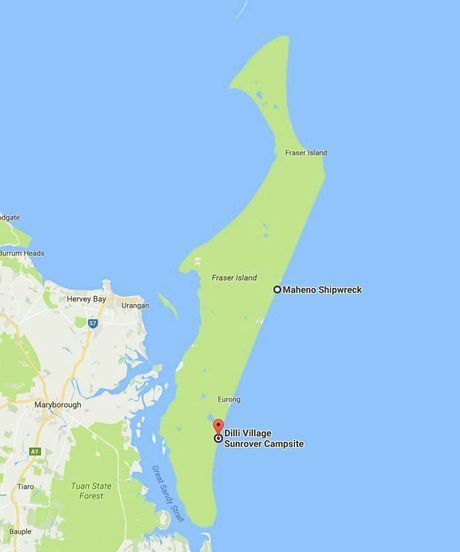 "Park rangers are also continuing to conduct reconnaissance of Rainbow Beach and Double Island Point as a precaution." Mr Bailey said the incident was being treated as a serious matter, and thanked those helping to reverse the damage. "Any oil spill incident in the Great Barrier Reef Marine Park or our coastal waters is regarded as serious and we are well-resourced to respond," Mr Bailey said. "I want to thank all the crews involved for their quick response who are all playing a part in the operation. "I also want to urge anyone four wheel driving along the beach to watch out for our crews during the clean-up." EARLIER: WHAT are described to be oil patties were found washed up on the beautiful shores of Fraser Island's eastern beaches. 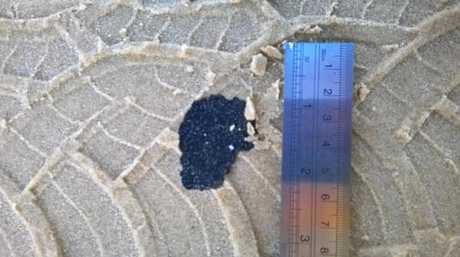 These oil blobs ranged in size from about that of a coin, to as big as a $5 note. Crews showed up at the scene on Tuesday and began work to remove the oil patches. Clean-up operations will continue today. Maritime Safety Queensland general manager Patrick Quirk said the oil spill was a minor one, with small patches of the oil dispersed over a wide area. "Although the quantity appears small we are not taking chances and have activated an incident control centre at Gladstone to ensure we have all the resources we need," Mr Quirk said after the oil was discovered. The oil patties were located from the Maheno wreck, and went to Dilli Village. Queensland Parks and Wildlife Rangers had been placed on standby for a clean-up and were on-site. Mr Quirk said minimising environmental damage was the focus at the moment. "Experience has shown the best way to clean up the beach is to remove the patties by rake and shovel," Mr Quirk said. "This minimises the impact on the environment and reduces the amount of additional sand collected." A list of ships known to have been in the area has also been compiled. Mr Quirk said this spill appeared to be significantly smaller than an incident in July last year when 10-15 tonnes of oil washed up from a spill off Cape Upstart. 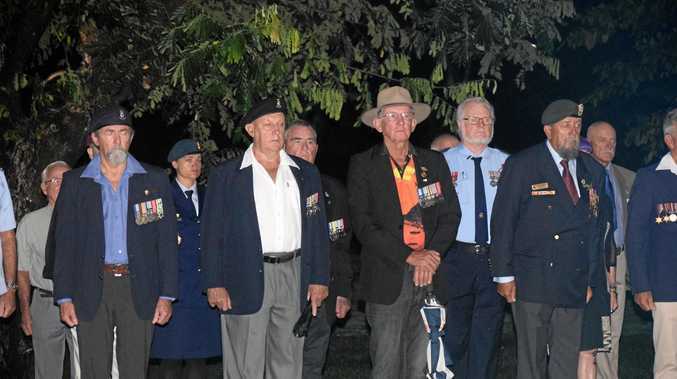 Maximum fines for a corporation for a discharge offence can include $11.78 million under Queensland law and $17 million under Commonwealth law.